The new Secretary General of NATO (NATO), Jens Stoltenberg, denied that the alliance seeks a confrontation with Russia and blamed that the country has deteriorated its bilateral relations. "NATO continues to aspire for a cooperative relationship with Russia, but to achieve this, Russia has to demonstrate its willing and take clear steps to render it possible," said the secretary in his first speech since taking command of the organization, on October the 1st . "It is precisely now, when our relationship with Russia is the most difficult since the Cold War, we need greater transparency and predictability to ensure that the crisis does not come out of control," he said. In this regard, he urged Moscow to "cease its destabilizing actions in Ukraine and withdraw its troops". 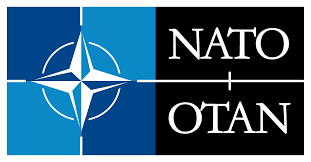 "NATO fully supports the sovereignty, independence and territorial integrity of Ukraine within its internationally recognized borders," he reiterated. The NATO secretary general said that the annexation of Crimea by Russia is an "illegal and illegitimate" action. Stoltenberg said that Russia is the biggest neighbor of NATO, so the country and the allied nations "can not be ignorant." "One way or another we will have a relationship. The question is what kind" questioned, after emphasizing his preference for relying on "mutual respect, not suspicion and in the rule of law, not the law of stronger." However, he stressed that the alliance "will not compromise its core principles and security in Europe and Northern America" ​​for it. He felt that the only way to keep a "truly constructive and cooperative" relationship with the former Soviet giant is through a strong NATO. "A strong defense based on a strong NATO, are the foundations for a constructive relationship with Russia," said Stoltenberg.